Have as much FUN in the park as your kids do! - Energetic Juniors - Contact Us! Have as much FUN in the park as your kids do! Who say’s kids get to have all the fun? Adults, here’s a tip that will keep you young at heart. Don’t limit your outdoor workout to cardio only! Running, walking, or even biking the same route can get boring. Mix up your routine with a fun and effective strength-training routine. 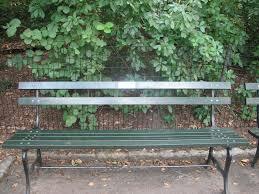 Below is an example of a circuit workout you can perform utilizing a park bench. *Make sure your knee is in line with (directly above) your ankle when you step up. Your whole foot must be on the bench as you step up. As you push up on the bench make sure to push through your heel. *Make sure your hands are directly under your shoulders. You want your spine to be very straight. As you lower your chest to the bench and push back up, pretend you are holding an apple between your chin and chest – you must make sure your chin is slightly tucked. Many people make the common mistake of extending their neck during a push-up and, as a result, extra stress is added to their body, which makes the exercise harder. Now, go outside and have fun during your next workout. Energetic Juniors specializes in personal training for kids, but adults are always welcomed. If you’re looking for a trainer to work with your child, take a look at the full range of personal training sessions we provide and contact us at 212-879-1566 for more information.